Very few of us are born with flawlessly straight teeth. However, with incredible technological advancement in dentistry, you can fix your crooked teeth and get a beautiful, confident smile. All you need to do is consult your orthodontist or dentist for the right advice. While offering you professional guidance, your orthodontist will help you decide the best straightening option for your teeth. There are a plethora of inexpensive and efficient teeth straightening options available today. However, it is important to note that the straightening of teeth is not only for resolving aesthetic concerns. It may have various reasons, such as the gap between your teeth. The gap can increase the risk of improper alignment, jaw pain, periodontal diseases and crowding. All these conditions are major causes of tooth decay and plaque accumulation. If you are not sure how to go about it, we have you covered by comparing four straightening options for your teeth. Metal braces are one of the popular teeth straightening options and attach separately on each of your teeth. Their use is common in kids, however; many adults are also opting for this inexpensive and effective way to straighten their teeth now. Apart from being effective, metal braces are affordable. The framework of metal braces has seen major improvements in the past few years. They are now much smaller and way more comfortable than before. If you feel diffident about wearing metal braces due to their unsightly appearance, then veneers are a good option for you. Designed with porcelain shells, your dentist applies veneers on the surface of your teeth. Veneers do not change the shape of your misaligned teeth but conceal gaps, holes and other flaws of your teeth. Lumineers have the same job of improving your smile. Both options can fix the minor misalignments, but they cannot fix other issues like severe misalignment or bite problem. Your third go-to option is invisible aligners. They are small, removable, and plastic. It requires you to visit a dentist every two to three weeks to receive new aligner. 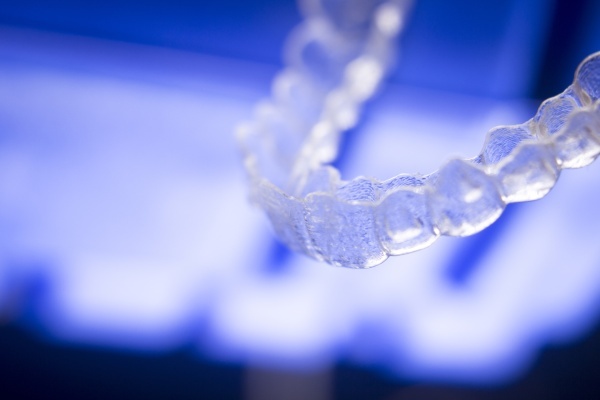 Each new aligner moves your teeth slightly closer to their right shape. The easy-to-clean feature makes it even more suitable for people who are always on-the-go. However, despite having minimal discomfort and easy straightening process, invisible aligners do not treat severe misalignments like twisted teeth. This is another removable appliance and great teeth straightening option. Dentist custom-fit the device on your existing teeth, and you can have a flawless smile. The process is less invasive, painful and expensive than other treatments for straightening your teeth. Overall, the information above will help you compare the available options. Make sure you discuss them with your dentist first, as it is their job to suggest the most appropriate teeth straightening treatment for you after examining your teeth condition. Call (209) 732-1124 today to reach Brookside Orthodontics.